Nachos, Doritos, whatever you want to call them. Everyone loves tortilla chips. Don’t even try lying to yourself on this one, you love them. 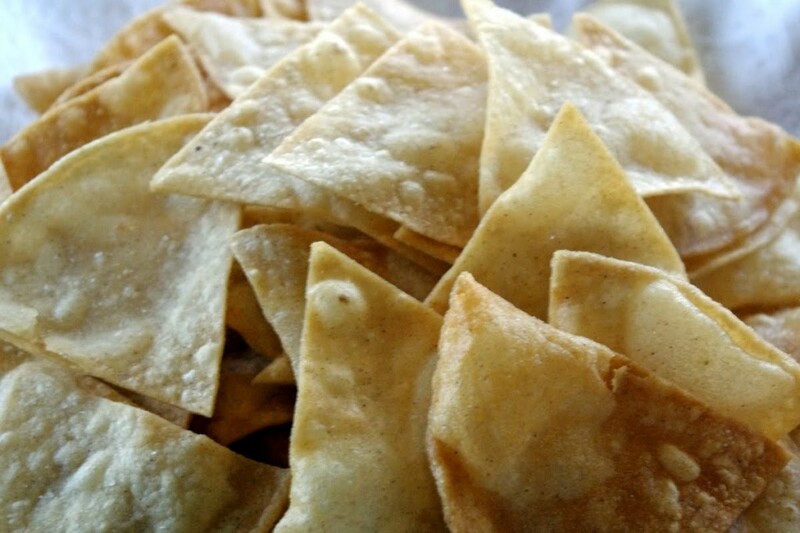 Pretty simple stuff here, you only need a few things to make tortilla chips. Pour half an inch of oil in a deep, preferably cast iron, skillet. Heat on medium-high heat. Stack up some corn tortillas. Cut them into nacho shaped bits. Three cuts to make six pieces usually works well. Fry them until they’re crisp. This should take nearly a minute. Be sure to remove them with a slotted spoon. You’ll want to let some oil drain. Sprinkle with as little or as much salt as you deem appropriate. The only way to make homemade nachos even more impressive is to make the corn tortillas yourself. And that’s a lesson for another day. Eat them with homemade hummus. Because hummus is good.